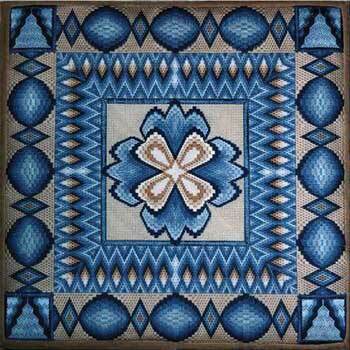 If you've ever wanted to stitch Carolyn Mitchell's group course, Florentine Fancy, now's the time. The course will be retiring on June 30, 2016! Learn more on the EAC website. The subjects covered are the choosing of canvas, needles, use of a variety of threads, decision-making on choosing thread colour combinations, diverse Florentine patterns, mitering of corners and compensation stitching. Have you taken this course yet?